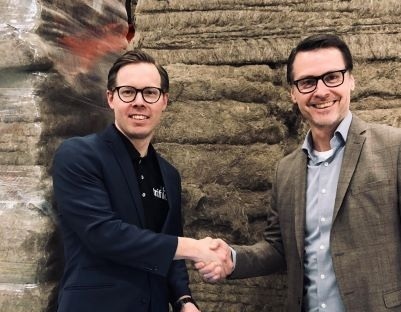 This month Trifilon signed a deal with rubber and plastics supplier Erteco making us an official eco-choice for that Nordics supplier. In the picture you see Trifilon’s CEO Martin Lidstrand shaking hands with Erteco’s CEO Carl-Otto Ohlsson. Erteco brought a small delegation to the plant in Nyköping for a tour and small presentation from our R&D and Sustainability departments. We heard from Erteco's Henrik Carlberg about trials with a spoon maker in Finland who may show prototypes at a coming trade fair in Germany. We were pleased to hear enthusiasm from their salespeople and that they were impressed by our quality focus and forthcoming ISO certifications. We’ll hope to give their staff whatever support is needed so that when customers want to develop green-choice products, Erteco knows whom to point them towards.